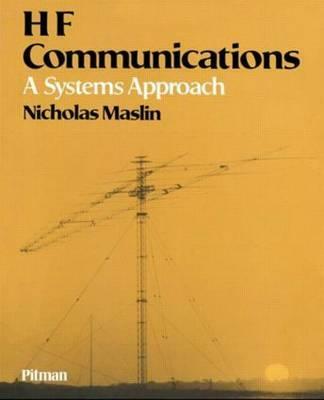 Nicholas M Maslin, "HF Communications: A Systems Approach"
Communications using the high frequency spectrum (2–30 MHz) have experienced a considerable resurgence. In recent years, powerful microcomputers and VLSI technology have greatly enhanced the prospects of overcoming many of the unique problems that formerly afflicted the HF systems designer. The aim of this book, therefore, is to provide a firm foundation for the design, evaluation and operational use of HF communications, with systems issues as the primary perspective. The approach provides an understanding of the way in which various elements of the system contribute to the overall HF communications link performance. Mathematics is introduced only where needed to clarify or illustrate key issues. The book will be vital to the professional communications engineer, already familiar with many of the problems but requiring a consolidated systems view of the subject; to the engineering student and research worker as a reference text which demonstrates how modern technology can be used to solve problems posed to the HF user; and to non- specialists and consultants within the communications industry.